Brin, the Google co-founder, has secretly been building a massive airship inside of Hangar 2 at the NASA Ames Research Center, according to four people with knowledge of the project. It’s unclear whether the craft, which looks like a zeppelin, is a hobby or something Brin hopes to turn into a business. “Sorry, I don’t have anything to say about this topic right now,” Brin wrote in an email. The people familiar with the project said Brin has long been fascinated by airships. 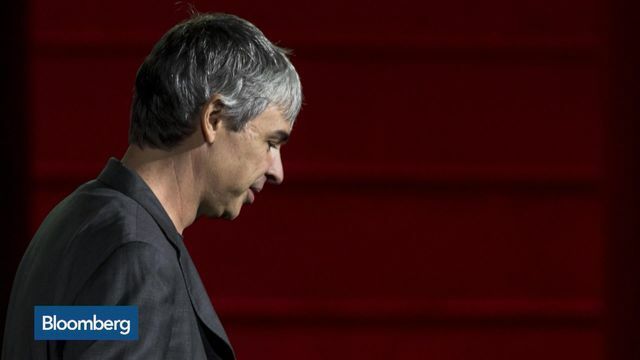 His interest in the crafts started when Brin would visit Ames, which is located next to Google parent Alphabet Inc.’s headquarters in Mountain View, California. In the 1930s, Ames was home to the USS Macon, a huge airship built by the U.S. Navy. About three years ago, Brin decided to build one of his own after ogling old photos of the Macon. 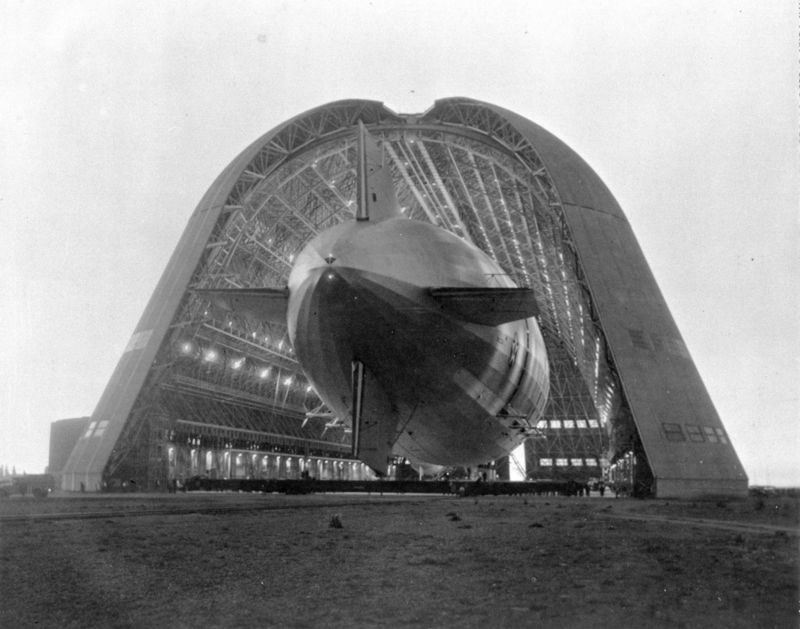 The USS Macon entering Hangar One at the NASA Ames Research center in 1934. Alan Weston, the former director of programs at NASA Ames, is leading Brin’s airship project, according to the people, who asked not to be named discussing the secretive plans. Weston didn’t respond to requests for comment. Born to Australian parents, Weston spent some of his youth in Turkey and then ended up at the University of Oxford. There he became a key member of the Dangerous Sports Club – a group of very intelligent risk-takers that formed in the early 1970s and did things such as catapult people across fields into nets. Members of the club are credited with inventing the modern form of bungee jumping. Weston, for example, performed one of the first bungee jumps by hurling himself off California’s Golden Gate Bridge and then eluded the authorities waiting to capture him on shore. He also hiked Mt. Kilimanjaro in Africa and then attempted to hang-glide down, only to crash and hurt his ankle in the process. Years later, Weston joined the Air Force and did engineering work as part of the U.S. government’s Strategic Defense Initiative – known more broadly as the Star Wars missile defense system. In 1989, Weston oversaw one of the first tests of Star Wars, which aimed to destroy incoming Russian missiles midair with weapons fired from space. In a radio interview in 2013, Weston described plans for an airship that could be used to haul cargo. The idea is that airships could be more fuel-efficient than planes and could carry loads directly to where they’re needed, rather than to transport centers like airports or shipping stations. This technique, according to Weston, would allow the airship to carry 500 tons without the need for a ballast. After being contacted about the airship, Weston changed his profile on LinkedIn to list his current job as chief executive officer of “Ltare.” He then removed the post. Alphabet CEO Page, Brin’s Google co-founder, has funded at least two secretive flying-car projects – startups Kitty Hawk and Zee.Aero, also separate from Alphabet. Page has begun to take the wraps off one of these efforts – on Monday, Kitty Hawk released a video showing one of its all-electric vehicles taking off and soaring over a lake with the driver perched on top. –With assistance from Mark Bergen.